The British food industry is losing millions of pounds a year due to untapped resources. The uncertainty surrounding Brexit is allowing management to hide longer term issues in the industry. It is no secret that the industry suffers from high staff turnover and low productivity and these are far from the industry’s only problems. 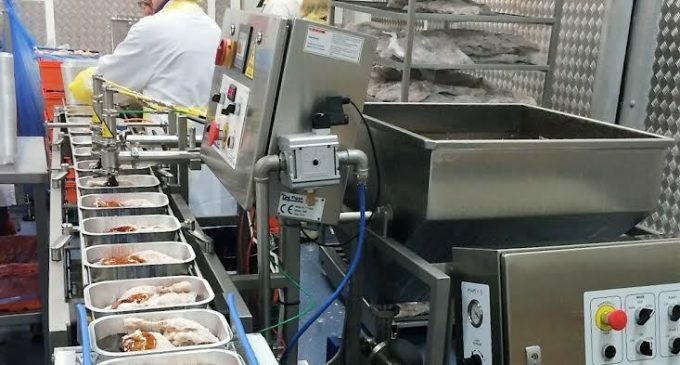 According to the HSE, almost 25% of all safety incidents in British manufacturing occur in the food industry. The thread that links all of these statistics is employee engagement. For some time research has been able to show a direct link between each of these issues and the level to which people are engaged with their work. 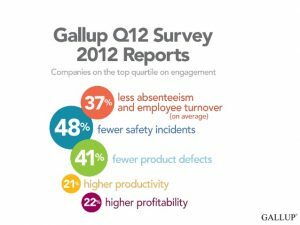 In 2012 Gallup reported that, compared to companies in the bottom quartile, companies ranked in the top quartile for employee engagement saw 48% fewer safety incidents; 41% fewer quality incidents and between 25% and 65% lower staff turnover (dependent on the size of the business). These problems are compounded by the industry attitude towards employee development. 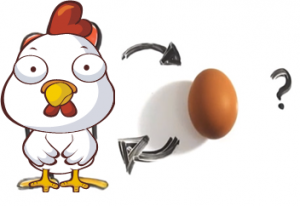 With many businesses choosing not to invest beyond training that is necessitated by law, the industry now faces its very own chicken/ egg problem. Many industry leaders suggest that high staff turnover discourages them from investing in training. Why spend precious resource on people who will walk out with their learning? There lies the dilemma. All major studies show that when people have the opportunity to learn and to apply their learning in the work place they show greater levels of engagement and are significantly less likely to leave. Similarly, employees who show greater levels of engagement are more likely to implement regulatory training. To only invest in essential regulatory training is to shoot yourself in the foot. Not only is it likely to be contributory to high staff turnover but also lowers the ROI [Return on Investment] on the regulatory training itself. Disengaged compliance will never deliver significant change to health and safety, product quality, productivity or staff retention. At the heart of this dilemma is a false economy. Food manufacturers refusing to invest in non-essential training are saving on their training budget only to haemorrhage significantly higher sums through the need for constant recruiting. According to Sarah Bishop, (Managing Director of Recruit Recruit) the cost of recruitment ranges from £2000 for a shop floor worker up to £6000 for senior managers. This figure is supported by the latest reports from the CIPD. Food manufacturers who take high turnover for granted are throwing money down the drain every day. When you factor in the cost of the nearly 10,000 safety incidents a year and the 4 fatalities a year there is a need for something to change. The challenge with chicken and egg dilemmas is that change does not happen overnight. To break this costly cycle requires brave leadership decisions that look to increased profitability in the medium to long term. However, there are incremental steps that can be taken that will go some way towards achieving the increased skills, innovation and growth championed by the FDF (Food and Drink Federation). One such step is to choose to make more of the untapped skills already present in the workplace. When people feel that their skills and insight are acknowledged they take a significant step towards greater commitment to their employer. To achieve this first step requires mangers to rethink their role. In a heavily regulated industry it is all too easy for management to slip into an enforcement role that looks for compliance. In a society that has all but rejected command and control structures it is important for managers to see themselves as enablers. The role of the enabling manager is to work with their teams in such a way that they are able to bring all of themselves, their knowledge and skills to bear in the workplace. Even the setting of team goals and the provision of systems and procedures can be seen in this ‘enabling’ light. Simply changing the goal of management to ‘enabling your team to bring all of themselves, their knowledge and skills to bear in the workplace’ will begin to transform employee engagement and reduce the costs incurred through staff turnover, health and safety and poor productivity. One immediate impact would be improved ROI on the money currently spent on regulatory training. If, as people return from training, their managers take time to work with them as individuals or a team to understand how the learning they have gained can be put into practice then even regulatory training ceases to be a tick box exercise and becomes something that is owned and used. In turn this should lead to higher levels of compliance and lower costs associated with lack of compliance. Making this choice may also give you a place to start with an extended training budget. Managers can be upskilled with learning that equips them to undertake an enabling role. Giving your management the skills and confidence to work in this way with their teams, and individuals within their teams, will have an immediate impact and begin to transform people’s understanding of the value the business puts on them. Once these skills are in place you will be in a great position to review your training spend and begin to plan for a future that sets you apart from other food manufacturers. What difference would it make in your business if you could reduce staff turnover by 25% – 65%? How much could you save if there were up to 48% fewer safety incidents and 41% fewer quality incidents? These are not quick fixes. They require a level of bravery. They require leadership that is prepared to acknowledge the costly negative cycle within UK food manufacturing and leaders brave enough to lead the way to change.